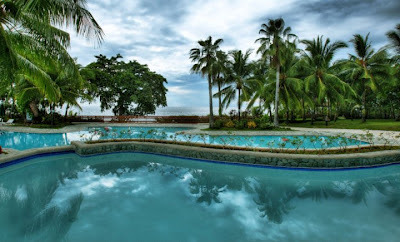 One of the best beach resorts in Cebu that offers relaxing accommodation and superb services- the Alegre Beach Resort & Spa. Alegre - a beach resort known for its natural beauty, quiet luxury, romance, clean waters, friendly, warm and well trained staff ready to create a perfect honeymoon or vacation. Did you know that the word “Alegre” is derived a Spanish Word which means Happiness and Contentment and in Cebuano dialects means…Having Fun! 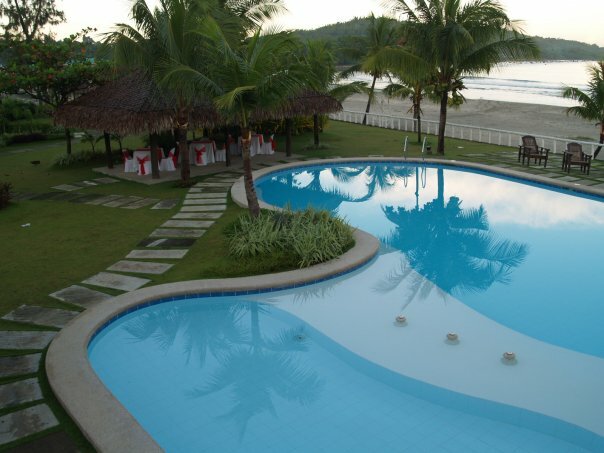 It only takes 1 ½ hour via car from the Cebu and Mactan International Airport going to the Alegre Beach Resort & Spa. The resort will meet you by their representatives via van. 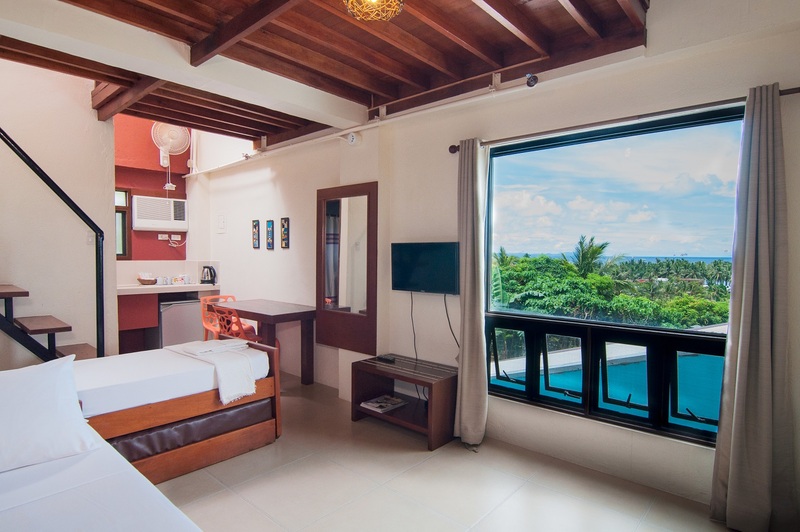 The resort has 38 rooms which divided into 3 types include Deluxe Room, De Luxe Ocean View Room, and De Luxe Ocean View Room with Garden. 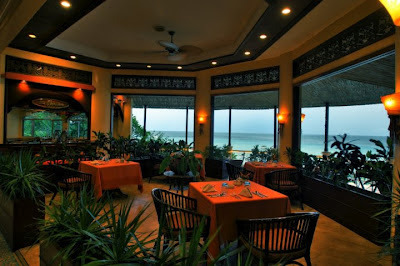 It has one main restaurant, “The Pavilion” which serves typical Philippine cuisine, a la carte and / or buffet style. 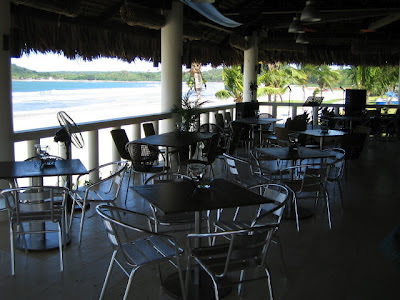 They also have an attractive outdoor outlet called “The Cliff Seafood BBQ and Bar” that serves special BBQs, Barrio Fiesta and among others. 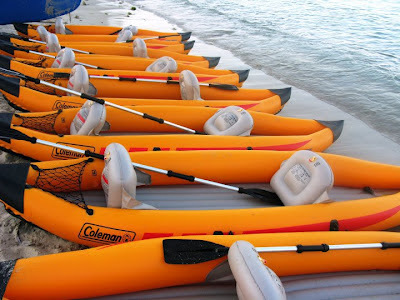 Enjoy the different water activities like snorkeling, jet-skiing, kayaking and island hopping and others. 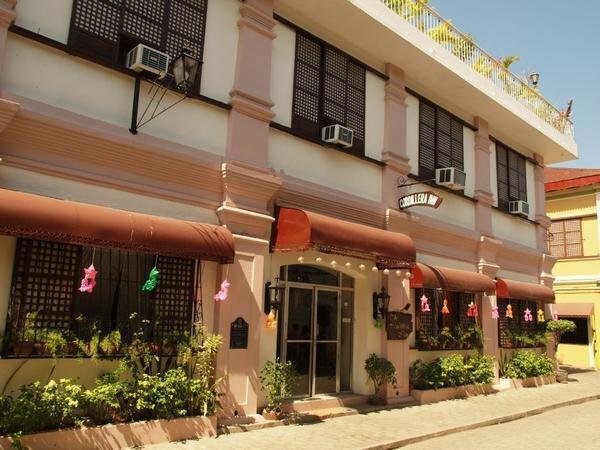 For more relaxation, visit their “Alegre Spa” and try their massages, reflexology and other treatments using the best natural products such as herbs and oils. For more information on Alegre Beach Resort and Spa's room rate/ packages, you may contact them at this no. (032) 254 9800 Or check their website at http://www.alegrebeachresort.com. 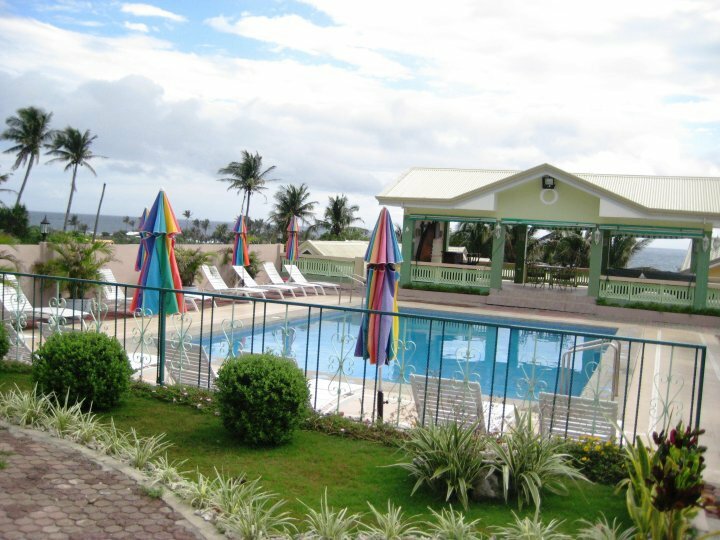 For reviews on resorts in Cebu, always visit this site. 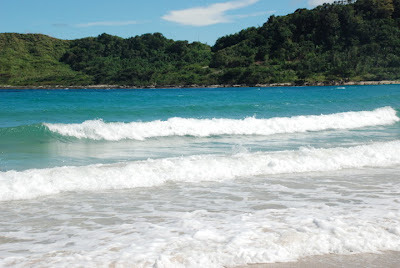 Looking for a beach resort in Pagudpud, Ilocos Norte? 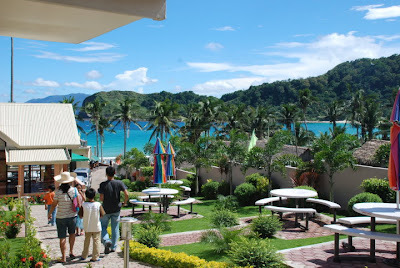 Hannah’s Beach Resort & Convention Center is one of the best beach resorts in the Northern Luzon. You will definitely experience the unforgettable vacation on this place. It is approximately 45 mins. via airplane from Manila to Laoag. You can take Van or Shuttles going to the resorts. If you gonna use your own car or perhaps will take a bus, it takes 10 hours from Manila to Laoag via Northwest Highway and another 1 hour 30 mins from Laoag to Pagudpod. But don’t worry even it’s a long ride, you will enjoy the beautiful landmarks and alluring sceneries along your way. 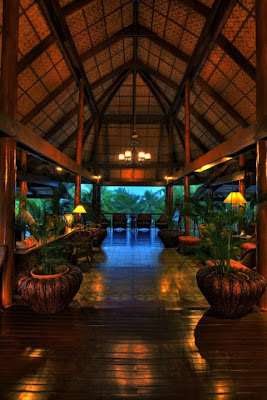 The resort has Airport Transfers & Tour. Hannah Beach Resort and Convention Center offers Water Sports & Recreational Facilities including speedboat, kayak, rubber boat, banana boat, pedal boat, jetski, surf boards and among others. They also have rentable gadgets like goggles, life vests, snorkeling gadgets and floaters. If your company is looking for a place a convention, conference , seminars or any special events that needs a venue, the resort has convention center that can accommodate to 300-400 persons. It can also be use for weddings and birthdays. They also have restaurant that serves sumptuous food at reasonable price. For all healthy buffs out there, they have Physical Fitness and Wellness Center as well massage services. 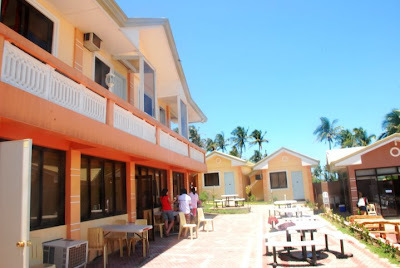 For more information and review on Hannah Beach Resort and other beach resorts in Ilocos Norte, Philipppines, always visit this blog. Thank you for reading this blog. If you like this post, you can share it on your Facebook, Twitter or Google+. You can also leave comment about this post. Clubbing holidays are usually synonymous with the likes of San Antonio in Ibiza, Malia in Crete or Magaluf in Majorca. These legendary hotspots have earned their reputation as being among the best clubbing scenes and nights out ever known. But what about those up and coming nightspots that are working hard behind the scenes to earn their stripes? Somewhere like Sunny Beach, for example? Where, I hear you ask? Sunny Beach is in Bulgaria where, as the name suggests, it’s hot hot hot. It’s bordered by Greece and Turkey in the South and boasts one of Europe’s longest beaches - no less than 6km of golden sands - which is lapped by the gorgeous waters of the Black Sea. Here you’ll find banana boats, water sports, scuba diving, even beach volleyball. But let’s face it, that’s not the reason you’re here. This is a growing resort that’s moving fast up the rankings of club 18-30 holiday style getaways. And as long as Bulgaria stays out of the Euro you’ll also get a lot more for your money. The nightlife is sizzling and you’ll find everything here from huge-scale events by Twice as Nice and Hed Kandi to foam parties, bar crawls and 80s school discos. Sunny Beach might be considered a young upstart compared to the likes of San An, but it won’t stay that way for long - so get in there quick before it really takes off, and then you can boast to your heart’s content about how you got here first. This resort really knows how to party and all the big-name DJs are coming here to spin the latest tunes. With thousands more coming here every year to find out what the fuss is all about, it’s certainly building up to something big. Watch this space. The UK is slowly emerging from a long and rainy winter and the joys of summer are beckoning to many who are tired of bad news of recession and joblessness. And of course uppermost among the joys of summer are holidays abroad. 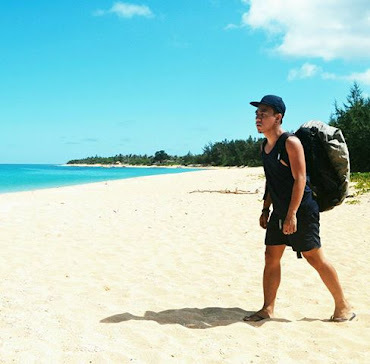 Many will be trying to save money in these hard times, and will be concluding that the best way of doing so is to book package holidays rather than try to arrange flights, accommodation, transportation and so forth. Among the most popular travel destinations for Brits are Spain, Portugal and Greece. But for those who want to venture further afield, the number one destination is the USA. One of the reasons the US is so popular is the sheer variety that it offers. On the east coast there is of course New York, Boston and Miami, three of the most exciting city’s in the world, for very different reasons. New York is the most famous city in the world, with a culture and people all its own. Whether it be riding its famous subway, visiting the Statue of Liberty or gawping at the Empire State Building the Big Apple has tons to see and do. Boston, one of the country’s oldest city’s is perfect for history buffs or for those wanting to savor the vibe of New England. Miami is much different from both cities. More modern, brash and lively. It is known for its beaches, clubs and restaurants, all crowded with beautiful, sun-bronzed people. USA vacations can also offer a lot of value for money, especially as the pound is traditionally stronger than the dollar, so holidaymakers from the UK can maximise their spending power, an important factor considering that the US is a shopping Mecca with few rivals. For those in search of a vacation to the US, booking online through a travel agency such as Thomas Cook is probably the best way to find a deal. Cordillera Inn offers traditional experience of services and reasonable prices accommodation. 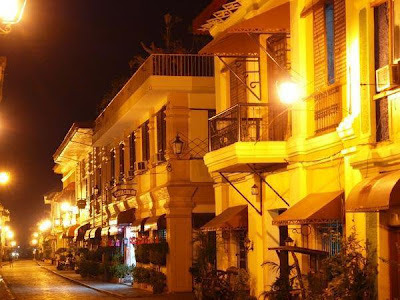 The place that is very near on a must-see historical spot in Vigan, Ilocos Sur. Cordillera Inn is 11/2 hour drive from Laoag International Airport. It is almost 80km away from the airport. If you will be going by land, take the north Expressway at Balintawak and get off at the Dau exit. You can take the North diversion road going to Mcarthur Hwy. You will pass as well by Angeles City Urdaneta, Tarlaca and Rosario then San Fernando, La Union going to Vigan. It is located beside Plaza Burgos, in front of St. Paul Cathedral. The room rates are range from Php 1500- Php1000 (depends on the no. of pax). They are really affordable. 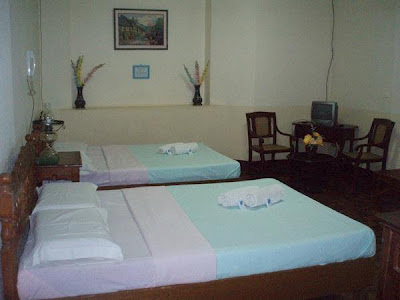 Get to know more affordable hotels and motels in Ilocos Norte and Ilocos Sur, always visit this site. If you are looking for beautiful beach resort in Ilocos Sur, Cabugao Beach Resort is the place to be. This is a place where you can relax and enjoy the beauty of nature. You will feel stress-free away from the pollution and traffic a jam in Manila. 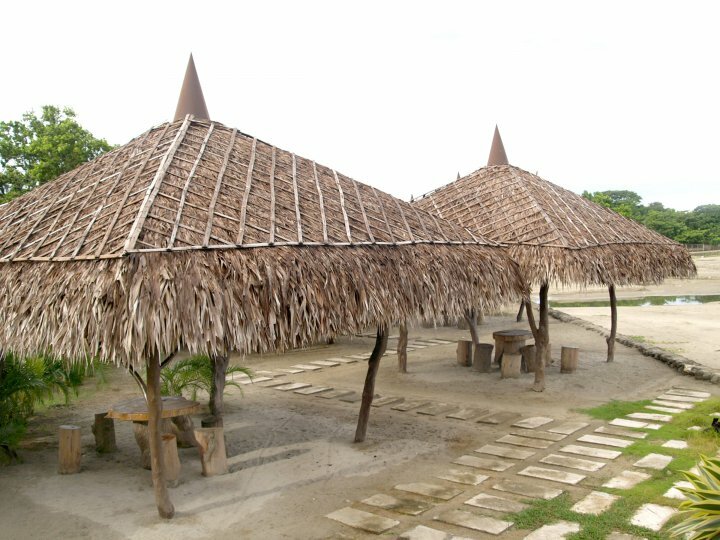 Cabugao Beach Resort is just 45 minutes away from Laoag International Airport and 20 minutes drive from Vigan Heritage Village. You can take National Highway in going to the resort. 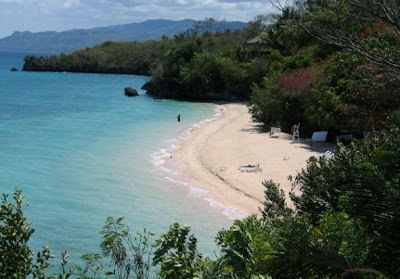 This is not just an resort because there really also called Cabugao Island, a place where you do the surfing and diving. The island is near with Badoc Island. The beach resort offers beautifully designed swimming pool that cater both adult and children. 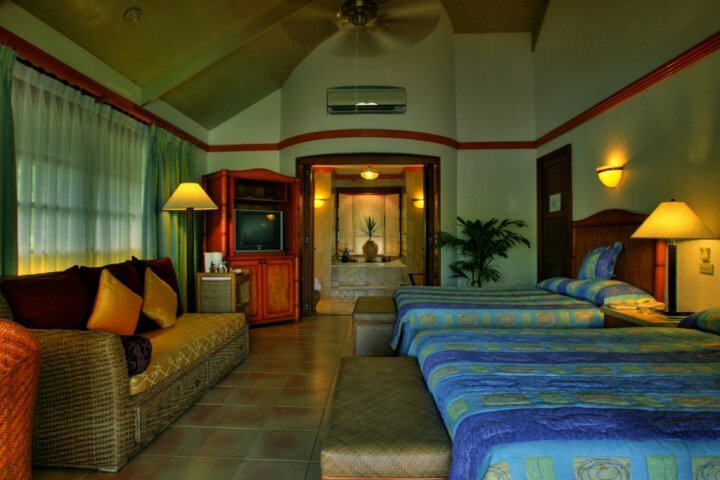 They also have affordable rooms and villas a view of the sea and the Enchanting sunset. The Cabana Bar and Grill offers delicious cuisine complimented with a full bar at affordable prices in a relaxed setting. For more information Beach Resorts in Ilocos Province, always visit this site. Airphil offers for as low as P388 promo until May 23! Airphil Express offers domestic flight seat sale promo for as low as 388 pesos on selected destinations in the Philippines from May 21-23 2012 or until seats last. Travel period is from June 20 to 31, 2012. Domestic destinations covered by 388 seat sale promo include Manila to Bacolod, Calbayog, Catarman, caticlan (Boracay), Cebu, Iloilo, Kalibo, Tacloban or Tagbilaran. Domestic destinations covered by 388 seat sale promo include Manila to Butuan, Cagayan de Oro, Cotabato, Davao, General Santos, Ozamiz, Pagadian, Surigao, or Zamboanga. International destinations by 688 seat sale promo include Manila to Kuala Lumpur. All Airphil Express ticket promo are subject to rules and conditions. 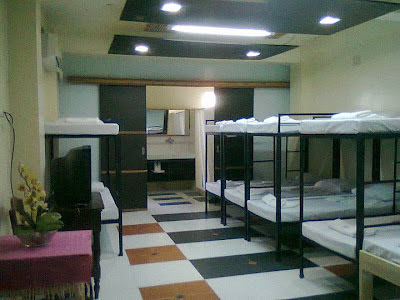 For booking and reservation visit www.airphilexpress.com or at any Airphil Express ticketing office. Call Airphil reservation hotline Manila: (02) 855-9000 and Cebu: (032) 505-1616. Cebu Pac offers for as low as P188 promo until May 24! Cebu Pacific offers domestic and international flights seat sale promo for as low as 88 pesos on selected destination routes from May 21 to 24, 2012 or until seats last. 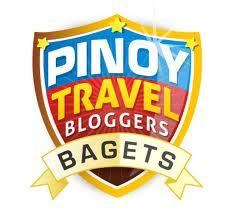 Travel period is from July 1 to September 30, 2012. Domestic destinations covered by 88 pesos seat sale promo include Cebu to Bacolod, Clark, Davao, Dumaguete, Iloilo, Legazpi, Ozamiz, Pagadian, Tacloban, Zamboanga or Kalibo. All Cebu Pacific ticket promo are subject to rules and conditions. For booking and reservation on tickets visit www.cebupacificair.com , or call Cebu Pac hotlines (02) 7020-888 (Manila) or (032) 230-8888 (Cebu). 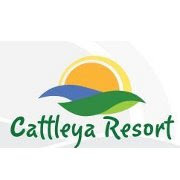 Looking for affordable exclusive resort, visit the Cattleya Resort! The best place for bonding with your families, friends, colleagues, and the only love one. You can also celebrate your birthday on this resort. 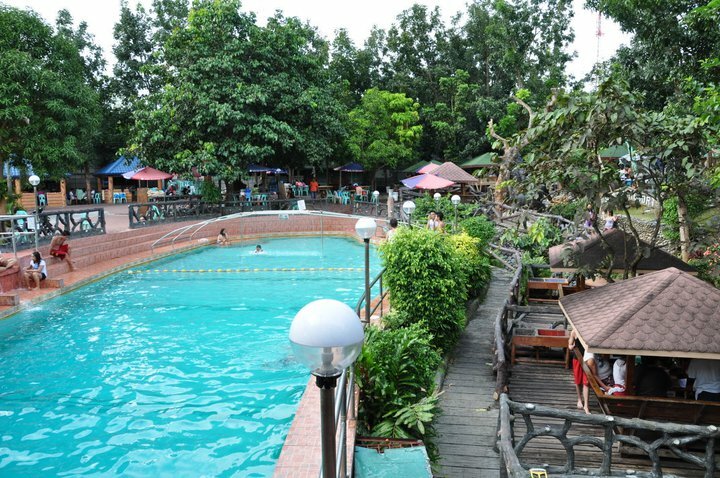 They also offers venue for get together, homecomings, team building activities, wedding receptions and among others. 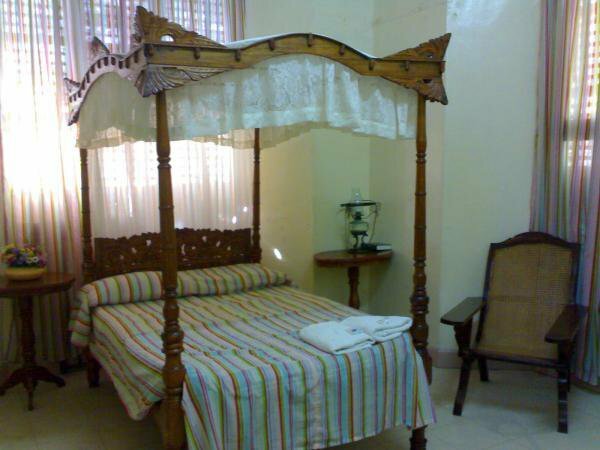 The rooms and pool rates are all affordable. 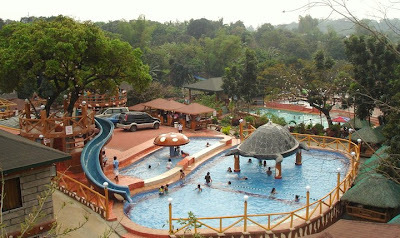 One of the best resorts that is near in Metro in Manila is the Bosay Resort in Antipolo. The exact address of the resort is at Marigman Rd. Ext., Brgy, San Roque, Antipolo City, Antipolo Rizal, Philippines. From Manila you can take LRT2 going to Santolan Station and PUV ride going to Antipolo Church and from there you can take a Tricycle ride. Airphil Express offers Piso Fare until May 9! Airphil Express offers domestic flight and international flight seat sale promo for as low as 1 pesos on selected destinations in the Philippines and Singapore from May 7 to May 9, 2012. 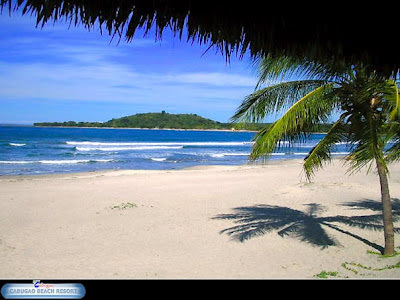 Travel Period is from June 1 to August 31, 2012. Domestic destinations covered by P1 (piso) fare promo include Zamboanga to Davao or Tawi-tawi. Domestic to international destination covered by P688 promo include Clark to Singapore. All Airphil promo 2012 are subject to rules and conditions. Call Air Phil ticket reservation hotline Manila: (02) 855-9000 and Cebu: (032) 505-1616 or visit their website/online at www.airphilexpress.com or authorize ticketing office.